Snapchat is a great app for those who love to share their pictures on the go without ever having to leave the chat window they have opened to talk to their friends. The good news is that you can also learn how to use Snapchat on PC and enjoy same powerful features on your computer. Read on to get to know how. 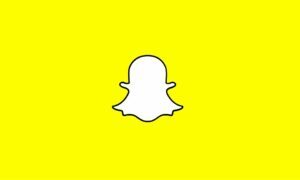 Snapchat has over 100 million users who use the application daily. These users spend an average of 30 minutes using the this application every day. At the pace it’s growing, it will soon become the most used app on iPhone and Android platforms. Is there an official version of Snapchat for PC? Unfortunately, there is no official version of Snapchat for PC as of this moment. However, there are a few hacks that let you run the app on PC. Probably there will never be an official desktop version. The developers behind the app have never talked about a PC version being on agenda. So for this app, the only way to use it on your desktop is to find a way to run the Android or iPhone version on a computer. How to use Snapchat on a computer? Now that you know you can’t download PC installer, there is still something you can do. Here you will learn how to make it work on laptop the easy way. Secret Revealed: The hack that you’re going to learn is not a secret any more. Everyone knows about Android emulators. You can install one of these emulators on machine and run this app within it. Check the guide below for detailed instructions. There are number of different android emulators in the market. Some of them are free to use while others offer paid license for emulating android environment on PC. If you are only using an emulator to run the android apps, you don’t have to pay for it. Just pick up any free emulator and you will be fine with it. Some options are BlueStacks, driod4x, and Genymotion. After you chose a free android emulator, it’s time to download it. Double-click the installation file when it downloads to your laptop to install it. Follow on-screen prompts for installation instructions. It should take more than five minutes to complete the installation. Now it’s time you find the final answer to your question. Run android emulator on computer. Go to Play store by opening App drawer in the emulator. Go to search form in Play store and write Snapchat there. Hit enter. Download it from the apps that come up as a result of your search. Now it’s time to start using this little application. Just go to app drawer and look for the newly installed program. Click the app icon and enter your account credentials when asked. This is it. 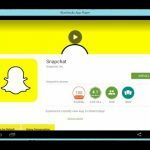 You can now use Snapchat on your desktop or laptop without having to wait for developers to release an official version for Windows. 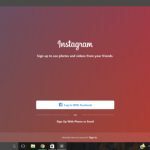 Be sure to share the guide so that everyone can run their favorite photo sharing app on their laptops and desktops.